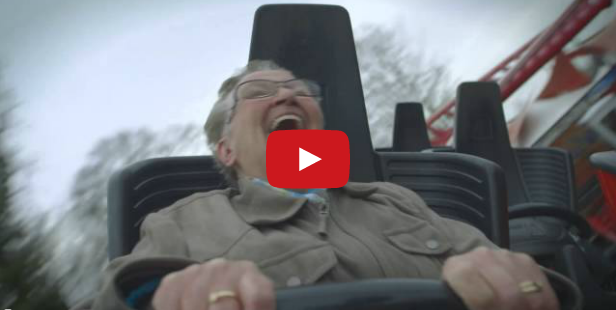 What happens if you ask a 70-year old woman to ride a roller coaster for the first time? Then meet Ria and watch her as she bravely accepts the challenge. You'd expect her to be screaming in fear as the roller coaster soars to new heights but she did exactly the opposite. She was screaming and laughing in delight. A very heart-warming video.